An injunction (also known as a “restraining order”) for victims of dating, domestic, repeat and sexual violence is a court order that prevents the respondent from having any direct contact with the petitioner, and potentially their children under Florida law. Injunctions whether they stem from a petition for injunction against domestic violence, petition for injunction against dating violence, or harassment are something you will want to defend against and respond to because the long-term consequence of having a judge grant a permanent injunction against you can be costly. Once the Petitioner files a petition against you the judge can: grant a temporary injunction for protection and set the matter for hearing within fifteen (15) days; the judge can enter an order setting the matter for hearing with no temporary injunction in effect within fifteen (15) days, which is less likely; or the judge can deny the petition outright without a hearing. An injunction can potentially affect your employment – some employers require that you immediately notify them of law enforcement contact. These cases are complicated and time intensive with a very quick turnaround time because generally courts grant temporary orders placing injunction and then set them for hearing within that fifteen (15) days. This leaves you very little time to conduct essential discovery: such as gathering evidence such as pictures, text messages, emails, phone records, the potentially the deposition of the petition and statements from key witness, all of which may help to defend against the permanent injunction. The purpose of the hearing is to allow the judge to hear both sides of the allegations raised in the petition, question you, the Petitioner and any witnesses. The judge will also consider all evidence you bring to support your position that the injunction should not be entered. If the judge enters a permanent injunction you cannot violate it through direct or indirect contact with the petitioner, or through a third party. Violations of an injunction, restraining order, or no trespass orders could lead to an immediately arrest, and ultimately jail time in some instances because they are considered felony offenses. Civil injunctions are public record too which may have direct consequences on your reputation and employment, so you will want to take immediate action to thwart off potential defamation and slander. This can be done through a very skill attorney who will take immediate steps through a cease and desist letter immediately being served on the Petitioner. You should keep in mind that civil injunctions are not sealable offenses so these will potentially forever come up with a simple Google search or a potential employer’s background check. If you’ve been served with a temporary injunction order it is important that you act fast to protect your rights. 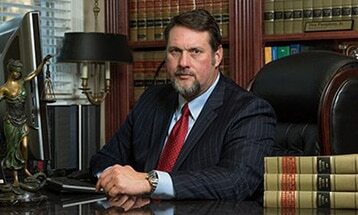 Our skilled attorneys are available to help you, contact us at 850/681-7777 for your free consultation.